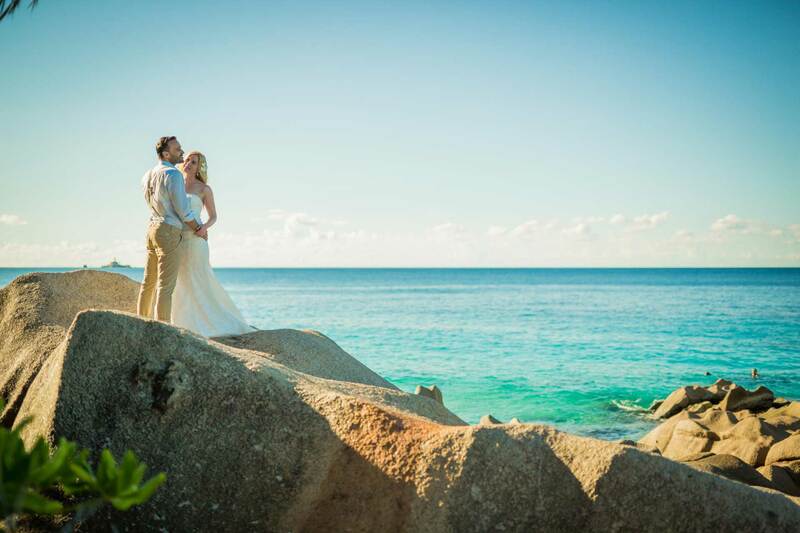 Seychelles is an island country located in the Indian Ocean and with its exotic and dream-like landscape your wedding is guaranteed to be forgettable. Marrying in Seychelles and the perfect honeymoon afterwards are sure to be a dream come true. We organize this most beautiful day in your lives so you can be certain that nothing will go wrong – you can simply enjoy this amazing day. Whether you decide on the Full Service Package or totally individual – We organize your wedding in Seychelles and make your dreams come true. We take care of all the bureaucratic tasks and make sure that everything will be ready on your big day – if you wish we will also hire a wedding photographer, who will capture the most magic moments of the day. Seychelles is a friendly country and is ideal for everybody that wishes to marry abroad. Additionally, we offer to organize your honeymoon – the countless islands and their variety of magnificent luxury hotels are waiting for you! Located in front of the African cost you will find Seychelles, neighboring Madagascar and Mauritius – also the Comoros are not far away. The islands of the archipelago are made partly of granite and Corals. Each of the over 100 Islands is unique! The inner Islands are the most important of the archipelago and ideal for your dream wedding and honeymoon. 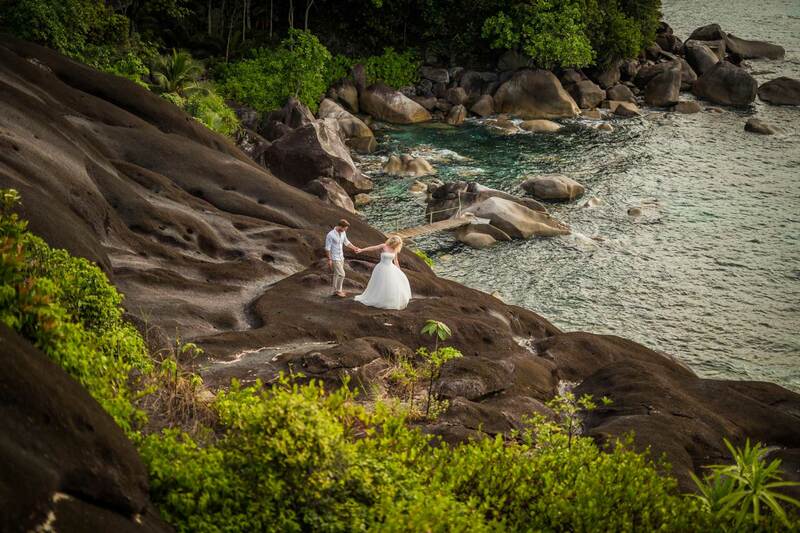 For example, you could marry on the Main island Mahé, but also on Silhouette, La Digue or Praslin. Flora and fauna in Seychelles are unique and diverse, the Vallée de Mai on Praslin is part of the UNESCO World Heritage. Exotic flora and incredible rock formations made of granite will make you feel as if you were truly in paradise! In the mood for an exceptional wedding? Contact us via contact form. 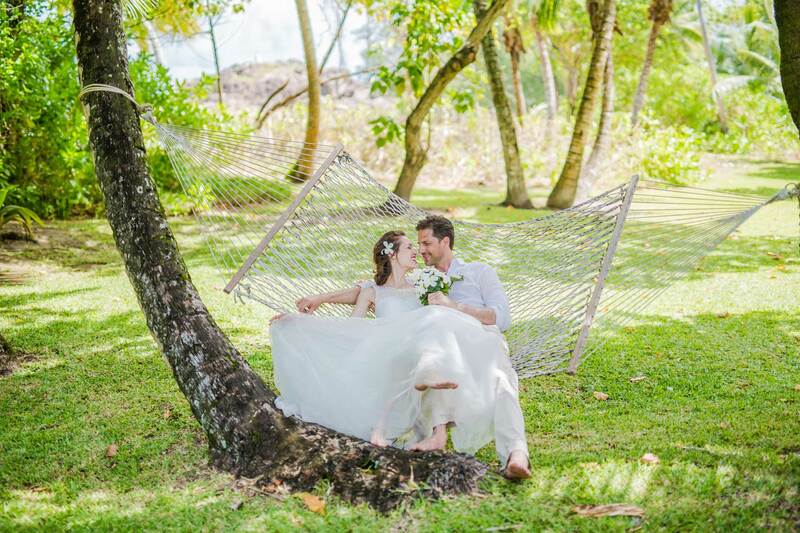 We will happily talk with you about every step of your wedding in Seychelles and answer your questions. Needless to say that special requests are not a problem! Silhouette is one of the inner islands and due to the low population count it is rather calm and isolated. 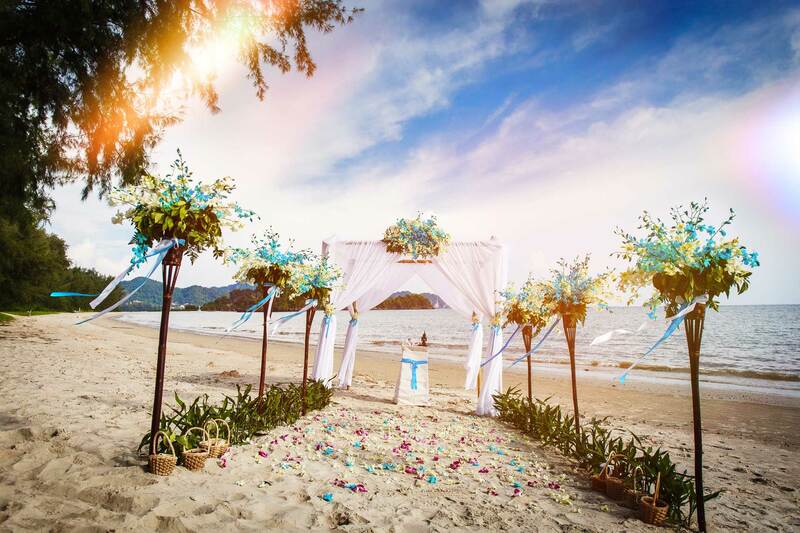 Spend the Night in the Hilton Labriz Resort and enjoy your sensational wedding on the beach with several extras, such as the Wedding Concierge Service or a separate dressing room for the bride. After the ceremony we will bring you back to the hotel for the private party. La Digue is one of the main islands in Seychelles and part of it is the famous beach Source d’Argent. We will organize your wedding on the beach of your choice, welcome you with a drink as soon as you arrive and make sure there is Champaign to have a toast. Naturally, the package further includes a delicious wedding cake. If you decide to marry on the main island, the choice is yours! Located on the biggest of Seychelles islands is the capital Victoria. 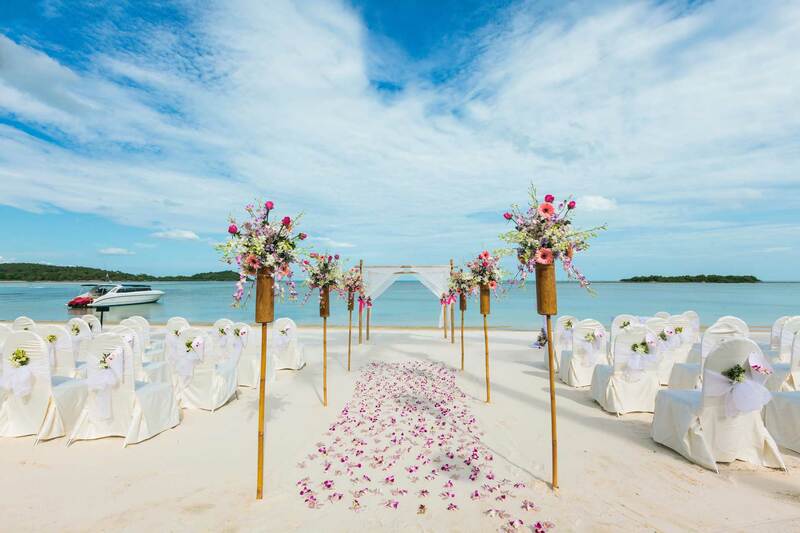 After your ceremony on the beach, including the variety of extras that are part of the package, you are free to choose where to continue celebrating and where to spend your unforgettable honeymoon. Secluded bays can be found on the island as well as vibrating clubs and restaurants. Praslin offers a stunning natural landscape and a UNESCO World Heritage. Our Full Service Package includes everything you need for your dream wedding. 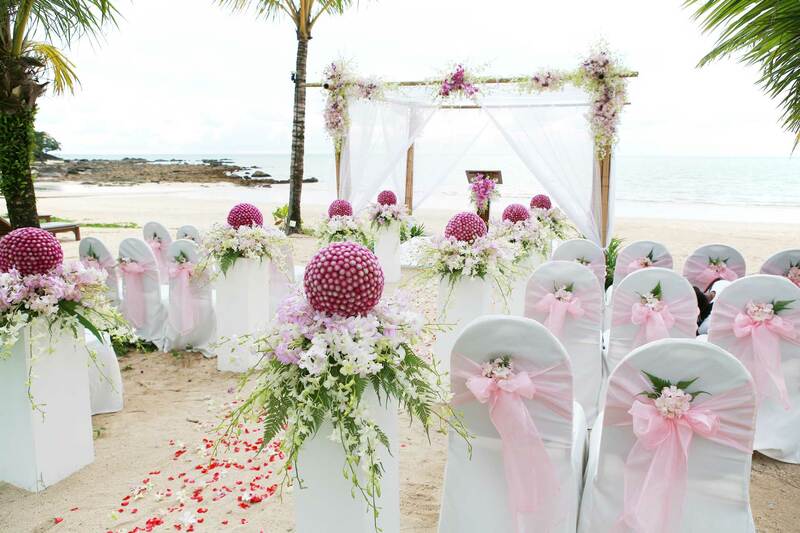 The price covers ride to the beach and back to the hotel, as well as the wedding pavilion, marriage registrar, bridal bouquet. After your ceremony the wedding cake and Champagne awaits you!